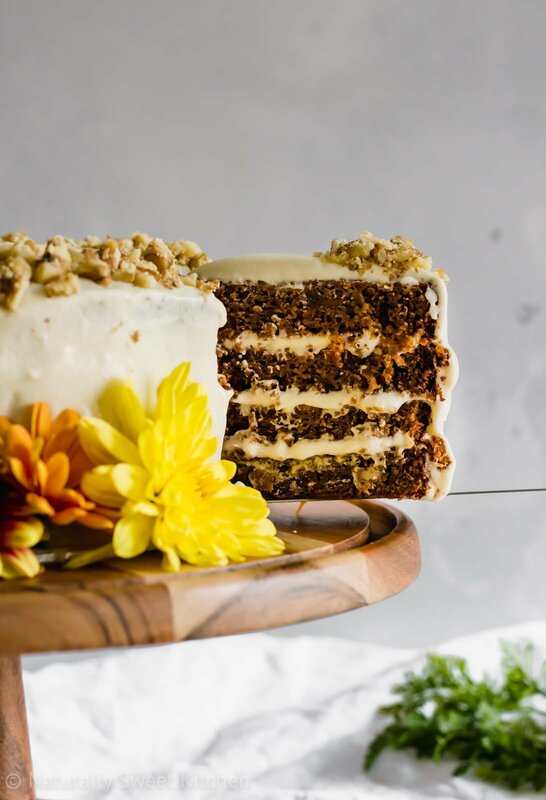 This refined sugar free carrot cake features tender, delicately spiced cake layers bursting with sweet carrots and a soft and dreamy cream cheese frosting. Perfect for Easter! 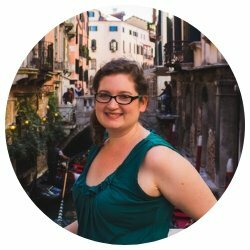 You guys, I am SO DAMN EXCITED to share this recipe with you! 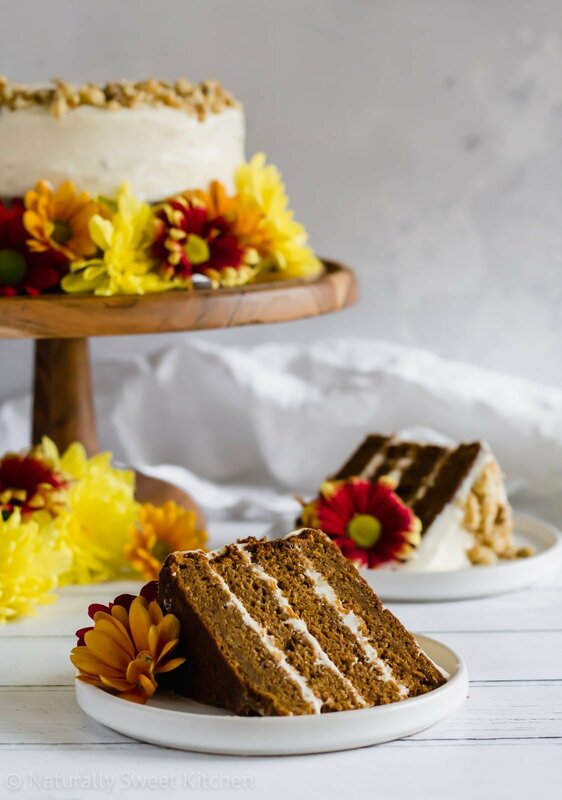 Carrot cake is my number one – my love for this gently spiced, moist cake even surpasses how I feel about red velvet. 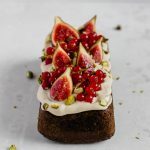 I kid you not when I say that this refined sugar free carrot cake with heritage cream cheese frosting is very possibly the best cake I’ve eaten in years. And that’s saying something because let’s be honest, I eat a lot of cake. Surprisingly, I had a much easier time with this cake than I usually do. I only had to bake the layers twice before I was happy with the flavour and texture! If you’ve been hanging out with me for any length of time, you’ll know I usually have a much more difficult time developing cakes than I do anything else. I’m genuinely convinced that the cake gods have it in for me. Don’t get me wrong – this refined sugar free carrot cake wasn’t without its problems. Funnily enough, it was the frosting that gave me sass this time around. I really wanted to make a Swiss meringue cream cheese frosting for you. I thought it would be so fluffy and silky and pair beautifully with the slightly denser carrot cake layers. But for some reason, every time I added the cream cheese to the meringue, it would split and not come back together. No matter what I tried! I used the hair dryer method, the 20-minute chilling method, the paddle, the whisk – nothing would work. So sadly, I had to shelve it to tackle another day. I turned to my trusty heritage frosting instead. Whipped up wonderfully the first time, too. It’s perfect – soft, tangy, and not too sweet since there’s no powdered sugar involved. My one big tip when making this frosting is to ensure you’re using the brick cream cheese, not the soft tub kind. I had to use tub cream cheese for the cake you see here (couldn’t get the brick conveniently enough), and it’s a lot looser due to the higher moisture content. It will work, as you can see in the photos, but it’s definitely not as stable and has the added difficulty of sliding down the cake slightly. Please save yourself the agony and use the solid brick cream cheese. Friends, if you only ever make one recipe of mine, please let this be the one. 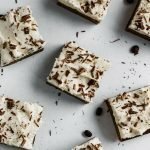 Even if you don’t like carrot cake, I swear you’ll be whistling a different tune once you’ve had one bite of this. 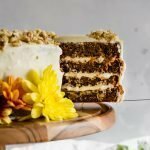 And carrot cake lovers? You’re in for the time of your life. Use fresh spices. Ground spices have a tendency to dull after 6 months, so if you haven’t replaced or used your cinnamon, nutmeg, and ginger for a while, get some new stuff. I promise it will make all the difference to the flavour. Buy your carrots locally. Local carrots have a sweeter, more robust flavour than carrots that have travelled from far away places. This really comes through in the cake. Plus, you’ll be supporting local farmers! If you have baking strips, use them. Because we’re using natural sugars in this refined sugar free carrot cake and there’s an almighty amount of moisture in it, it needs to bake for at least 45 minutes. Natural sugars tend to brown and burn more quickly, so using baking strips on the tins will help prevent the sides from overbrowning. Similar to the tip above, have some foil on hand to cover the top of the cakes if they start looking too brown. But do not open the oven until at least the 30-minute mark, or you’ll risk the cake sinking. As stated in the post, use the brick cream cheese if possible when making the heritage cream cheese frosting. It has a lower moisture content and will help stabilize the frosting. In a pinch, the tub version can be used, but the frosting will be slightly thinner. 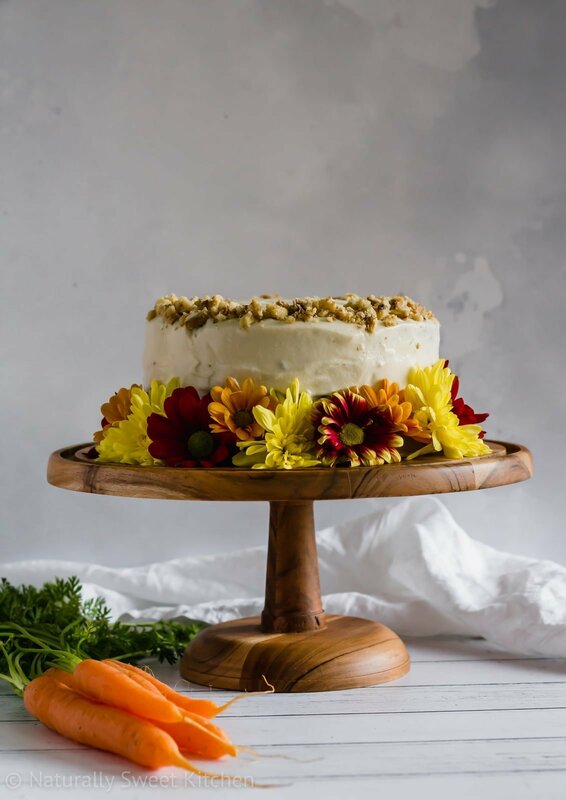 I can’t wait for you to try this refined sugar-free carrot cake! 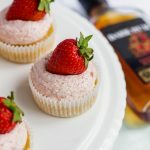 When you bake it, make sure post it on Instagram and use the hashtag #naturallysweetkitchen so I can see your creations. It makes my day to see what you bake up! 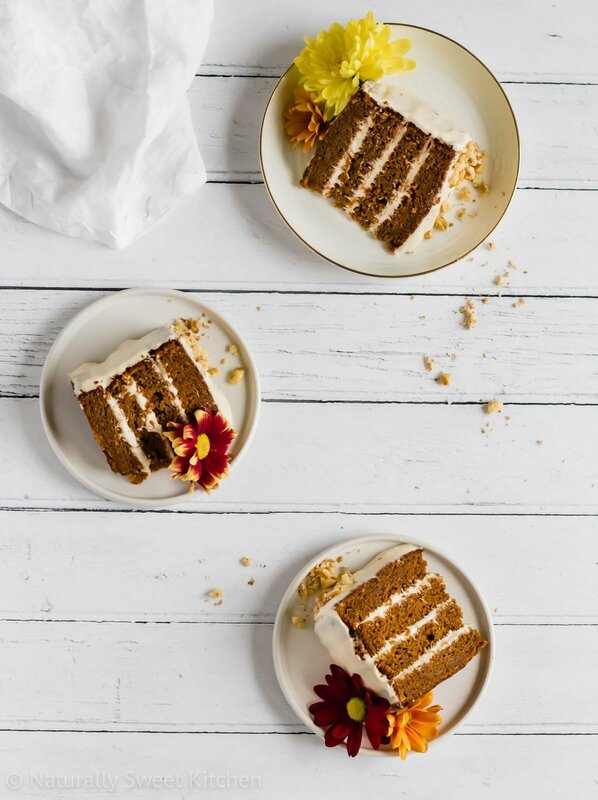 This refined sugar free carrot cake features tender, delicately spiced cake layers bursting with sweet carrots and a soft and dreamy heritage cream cheese frosting. Preheat the oven to 180ºC (350ºF) and grease, flour, and line two 8 inch (20 cm) round cake tins. Sift the flour, baking powder, baking soda, salt, cinnamon, nutmeg, and ginger into a bowl and whisk lightly to combine. Set aside. 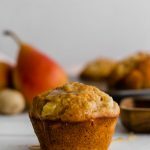 In the bowl of a stand mixer fitted with the paddle attachment, beat together the coconut sugar, maple syrup, yogurt, oil, and vanilla extract on a medium speed until well combined. Reduce the mixing speed to medium-low and crack in the eggs, one at a time, combining each egg for 30 seconds before adding the next. Add the dry ingredients in two parts, mixing just until the flour disappears. Turn off the mixer. Fold in the shredded carrots by hand. Divide the batter evenly between the two tins and bake on the middle rack of the oven for 45-50 minutes or until a toothpick inserted comes out clean. Allow the cakes to cool in their tins for 15 minutes, then turn out onto a wire rack to finish cooling completely before frosting. Heat the sugar, flour, arrowroot powder, salt, and milk in a saucepan over medium heat, whisking frequently. Allow to come to a boil and whisk vigorously until the mixture reaches a thick, pudding-like consistency, about 4 minutes. Remove the pudding from the stove and scrape into a heatproof, sealable container. Refrigerate until cold, about 3-4 hours. Once the pudding has cooled completely, remove from it the fridge and add it to the bowl of a stand mixer fitted with the paddle attachment. Pour in the lemon juice and vanilla and whip on high until loose and lightly aerated. Lower the mixer speed to medium and begin adding the cream cheese and butter one cube at a time, allowing the mixer to beat the cubes into the pudding individually. Once all the cream cheese and butter has been added, turn the mixer back up to high and whip the frosting until fluffy. Once the cakes are completely cool, level and slice each layer horizontally in two. You should have four even layers. Choose one of the layers to be the bottom and place it on a cake board. Drop ¼ cup of frosting onto the layer and smooth it to the edges. Repeat with the remaining layers. Crumb coat the entire cake and then refrigerate it for 15 minutes. Finish icing the cake with the remaining frosting and top with fresh flowers, walnuts, or anything you desire. This cake will keep sealed in an airtight container in the refrigerator for up to 3 days. Bring to room temperature before serving. The cake layers and frosting can be made up to 1 day in advance. Refrigerate until assembly. Thank you! Let me know when you make it! !